Among ALL cable networks, CNN was the fifth most-watched network for the month of November among total viewers in Total Day and prime time. CNN ranked a strong #2 in cable news in all dayparts among adults 25-54. November was CNN’s highest rated month in Total Day among adults 25-54 in eight years (since November 2008) and second highest in total viewers since October 2008. Among cable news networks, CNN once again thoroughly dominated MSNBC for the 29th straight month in Total Day and prime time demos. This is the longest winning streak over MSNBC in more than eight years. CNN also beat MSNBC in total viewers in Total Day, prime time and dayside. For the month, CNN beat MSNBC every hour of the day and in prime at 7, 8, 9 and 10 pm among adults 25-54. And CNN’s morning program, New Day with Chris Cuomo and Alisyn Camerota, had its best month ever in both demos and viewers, and easily topped MSNBC’s Morning Joe among adults 25-54 (with its biggest advantage since June 2015). New Day posted CNN’s best numbers among total viewers in more than 11 years (since September 2005) and among demos in eight years (since November 2008). For the month, New Day had CNN’s biggest share of the cable news morning audience among adults 25-54 in nearly eight years (including ties; since January 2009). During the month, CNN had the most-watched Election night in prime time in cable news history in both demos and total viewers. And CNN was the most-watched network, broadcast or cable, among adults 25-54 on Election night. (Based on Live+SD). In addition to New Day (6-9am) having its best month ever and beating MSNBC in the key demo adults 25-54 (251k vs. MSNBC’s 207k), the CNN morning show grew vs. a year ago, increasing +63% in total viewers and +98% among adults 25-54. CNN dayside weekday programs (9a-4p) all ranked #2, topping MSNBC each hour, posting its highest delivery in both total viewers and the demo since January 2009. Among total viewers this month, CNN had a +49% advantage over MSNBC (1.037m vs. MSNBC’s 695k) and a 91% lead among adults 25-54 (305k vs. MSNBC’s 160k). CNN also increased an impressive +69%/+109% respectively from a year ago during dayside programming. The Lead with Jake Tapper (4pm) ranked #2 in cable news, easily topping MSNBC in both total viewers (1.227m vs. MSNBC’s 819k) and the demo 25-54 (347k vs. MSNBC’s 182k). The program, which launched in March 2013, is averaging its highest monthly total viewer and demo 25-54 performance on record. The Lead grew +67% in total viewers and +101% among 25-54 vs. a year ago. The Situation Room with Wolf Blitzer (5-7pm) ranked #2 in cable news besting MSNBC in both total viewers (1.195m vs. MSNBC’s 912k) and in the demo (371k vs. 200k). Compared to last year, The Situation Room was up in total viewers (+50%) and up among adults 25-54 (+66%). CNN beat MSNBC during M-F weekday prime hours at 7pm and 8pm in the key demo 25-54 for the 29rd straight month and in the 10p hour for the 28th month out of the last 29 months. Erin Burnett Outfront (7pm) ranked #2 in the demo (402k), topping MSNBC’s Hardball (267k) by +51 %. EBOF grew compared to a year ago, increasing +46% in total viewers and +49% in the demo 25-54. Anderson Cooper 360 (8pm) topped MSNBC’s Chris Hayes again this month in both total viewers (1.369m vs. MSNBC’s 1.355m) and the demo (464k vs. MSNBC’s 324k). CNN has now topped MSNBC in total viewers for nine of the last 12 months, and among adults 25-54 for the 29rd straight month. The Cooper-led program was also up compared to last year, increasing +64% in total viewers and +68% among adults 25-54. CNN programming at 9pm (mostly AC 360 this month) ranked #2 in cable news, topping MSNBC’s The Rachel Maddow Show (483k vs. MSNBC’s 434k) among adults 25-54. CNN also grew +91% in total viewers and +88% among adults 25-54 vs. last year. CNN Tonight with Don Lemon (10pm) ranked #2 in the demo (473k), easily topping MSNBC’s The Last Word (347k). CNN has now topped MSNBC at 10pm for 28 of the last 29 months in the important key demo 25-54. 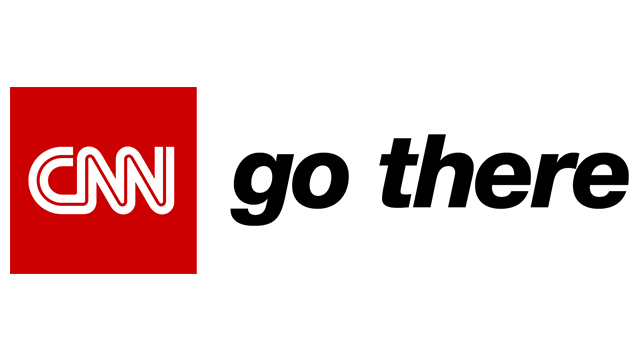 CNN Tonight was up double digits in both total viewers (+97%) and among 25-54 (+95%). New Day Saturday (6-9am) ranked #2 in cable news each hour in total viewers. MSNBC was 3rd or 4th. Smerconish (9am) ranked #2 in total viewers (932k vs. MSNBC’s 528k) and among 25-54 (273k vs. MSNBC’s 132k). Smerconish at 6pm also ranked #2. CNN Newsroom with Fredricka Whitfield (12noon-3pm) ranked #2 in both total viewers and among adults 25-54, growing double digits each hour in both demos vs. last year. MSNBC was third. CNN Newsroom with Poppy Harlow (3-6pm) also ranked second in both total viewers and 25-54 each hour while MSNBC ranked third. Newsroom grew double digits each hour vs. a year ago. Inside Politics with John King (8am) ranked #2 in cable news vs. MSNBC’s Politics Nation in both total viewers (821k vs. MSNBC’s 435k) and the demo (237k vs. MSNBC’s 89k). The program grew +48% in total viewers and +72% in the demo from last year. State of the Union with Jake Tapper ranked #2 on Sundays at 9am, averaging 977k in total viewers and 306k among adults 25-54, growing +47% /+81% respectively. At noon, SOTU was also second in both demos, up +40%/+85%. MSNBC ranked 3rd or 4th during both time periods. Fareed Zakaria GPS (10am) ranked #2 in total viewers (1.111m, up +39%) and in the demo 25-54 (296k, up +48%). The Zakaria-led program also ranked #2 at 1pm, growing +76% in total viewers and +113% among adults 25-54 vs. last year. MSNBC was third. Reliable Sources with Brian Stelter (11am) topped MSNBC in both total viewers (1.020m vs. MSNBC’s 640k) and among adults 25-54 (302k vs. 157k). The media news program grew +70% in P2+ and an impressive +101% in the key demo adults 25-54. Anthony Bourdain: Parts Unknown Season 8 to-date (9/25-11/27/16) is tracking at its highest season performance ever among both total viewers (951k) and 25-54 (412k). The show has steadily grown from Season 6 to Season 7 to Season 8 to-date among both demos. Bourdain ranks #1 across cable news in its time period among 25-54. This is Life with Lisa Ling Season 3 (9/25-11/27/16) posted its highest season performance ever among both P2+ (697k) and adults 25-54 (294k). The show has steadily grown each season among P2+. Ling ranks #2 among both P25-54 and P2+ across cable news in its time period.